6-Speed Automatic Electronic with Overdrive, jet black Cloth. Certified. Priced below KBB Fair Purchase Price! 2016 Chevrolet Silverado 1500 WT 6-Speed Automatic Electronic with Overdrive EcoTec3 4.3L V6 RWD Certification Program Details: AutoPlex Certified - Dealer Certified Music City Autoplex Is The Preferred Used Car Resource In The Greater Nashville, TN Area. Proudly Serving: Nashville, Knoxville, Brentwood, Franklin, Huntsville, Hendersonville, Gallatin, Bowling Green, Murfreesboro. Looking for an excellent deal on a premium used car in northern Tennessee? 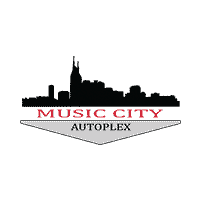 Then come on over to see us at Music City Autoplex and we’ll get you up to speed on all the super-clean and reliable pre-owned vehicles here on our lot. Our helpful sales team will be happy to show you around and tell you about whatever vehicle catches your eye. We’ve got rugged pickup trucks, tough off-roading SUVs, cushy family vans and wagons, sleek sedans, sporty coupes, and thrilling sports cars – all at affordable prices that won’t bust your budget. Our used car dealership in Hendersonville, TN has been providing our community’s drivers with access to fantastic used cars and trucks for many years, and we want to see you drive off in the car of your dreams!